This is so easy to make, looks really fancy, and tastes delicious! 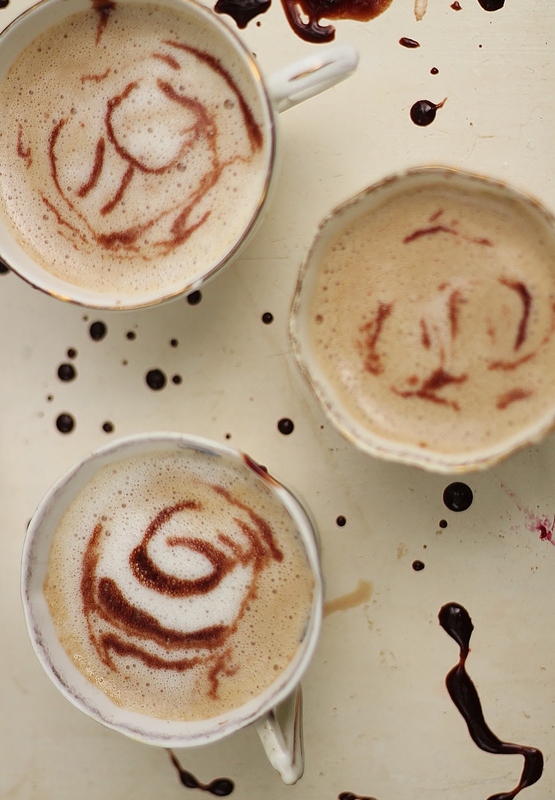 If you don’t have a coffee maker, using this syrup and hot milk, and a basic coffee plunger, you can make a totally delicious and easy Mocha. I found this recipe online a couple of years ago. Back then, I never thought about saving where I got it from, so I just printed it, and used, and loved, this recipe. Sadly, I have no idea where I found it online! All I know is that it is an AMAZING recipe, very easy, using only basic ingredients. Add the water slowly, mixing well in between. Add a dash of salt. Once mixed completely, the mixture will probably be boiling, so lower heat to medium. Let it boil for 5-8 minutes, mixing constantly. Boil till mixture thickens. When you move spoon fast through mixture, you can see the bottom of the pot. This means it’s done. Turn off heat, add vanilla, stir thoroughly, let cool for a few minutes, pour into sterilised jar. Soak jar in boiling water to sterilise. 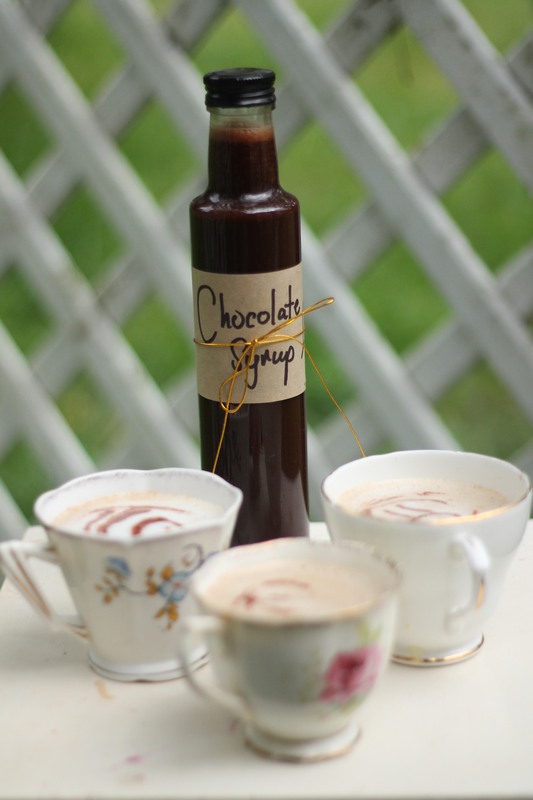 2. stir a teaspoon of Chocolate Syrup in. 4. 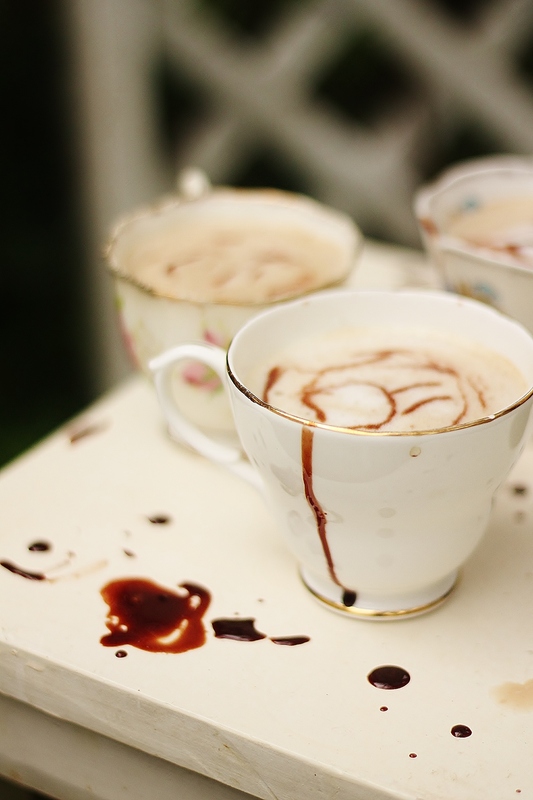 Drizzle more mocha syrup over the top. 5. 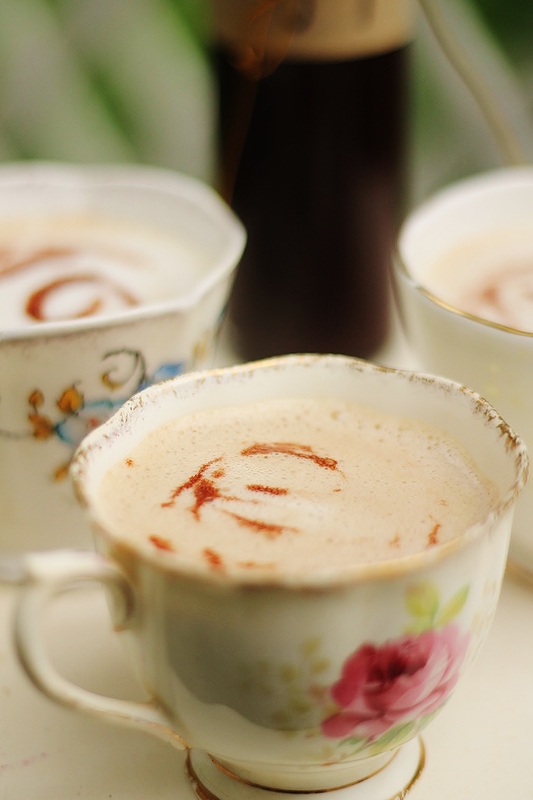 Enjoy you easy, delicious, homemade mocha! 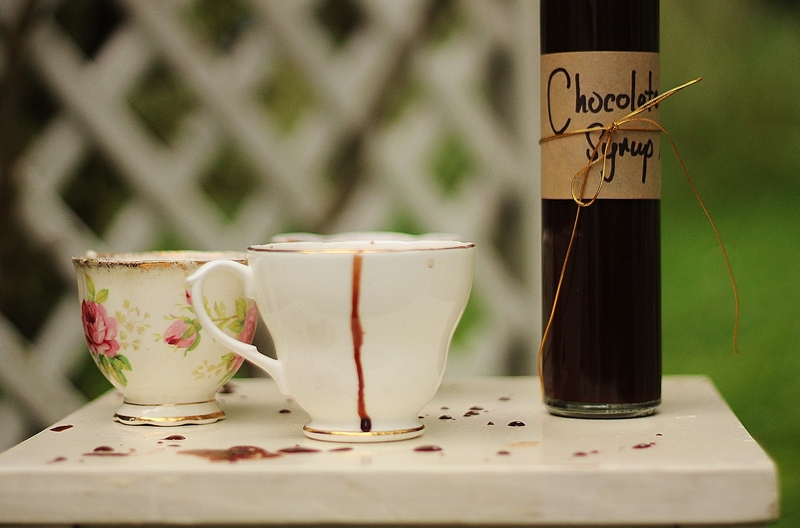 Make a pretty label for your chocolate sauce, put it in a cute jar, and you have a delicious mothers day present. Or a present for anyone, really! You could also use this as an ice-cream sauce, add it to milk shakes, iced mochas, make yummy chocolate milk….